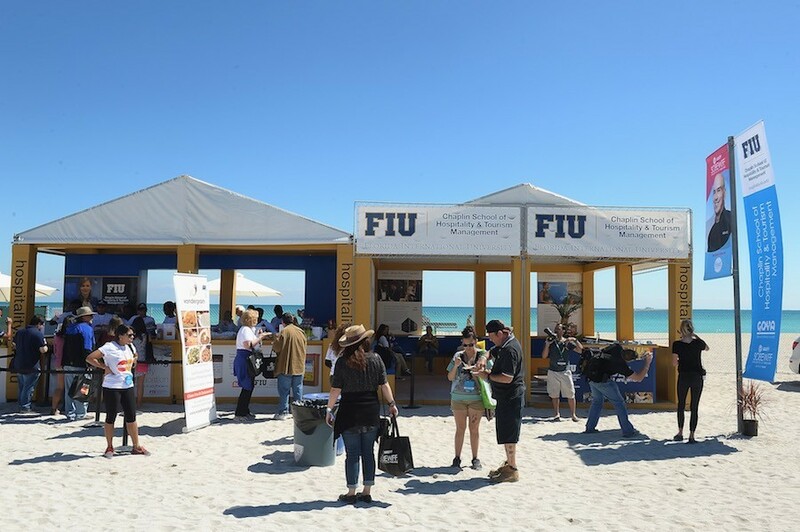 Widely recognized as one of America’s favorite epicurean celebrations, the 16th annual Food Network & Cooking Channel South Beach Wine & Food Festival (SOBEWFF®) returns to EAT. DRINK. EDUCATE. February 22 – 26, 2017. Designed to keep both taste buds and toes dancing at every turn, this year’s gourmet gathering will feature a wide array of music experiences integrated into many of its signature Miami Beach events. Kicking off the Festival on Thursday, February 23 is Little River Band presented by Magic City Casino at Barilla’s Italian Bites on the Beach sponsored by HCP Media and the Miami Herald Media Company hosted by Valerie Bertinelli & Alex Guarnaschelli. While more than 30 chefs take guests on a culinary tour of Italy in the sand, while they sip on perfectly paired wines and libations, one of Australia’s most popular rock bands – who has 10 top 20 songs on U.S. Billboard charts – will keep the good times flowing with their signature sound. On Saturday, February 25, Tanqueray brand ambassador Snoop Dogg will also take to the tables immediately following his KitchenAid Culinary Demonstration with Guy Fieri for a short spin on the ones and twos to close-out the day at the Goya Foods’ Grand Tasting Village featuring Mastercard Grand Tasting Tents. The party will continue that night in the Festival’s signature white tent in the sand beachside at Delano during BACARDÍ On The Beach. Rev Run and DJ Ruckus will lay down the late-night beats while guests satiate their palates with signature libations and bites from 20 of South Florida’s favorite spots. The Festival has partnered with nightlife visionary David Grutman to present a brand new featured experience at the Goya Foods’ Grand Tasting Village on Sunday, February 26. Grutman will transform the courtyard into a custom all-day experience ideated by the energetic impresario himself, featuring live beats by the dynamic, internationally-renowned INGROSSO in the afternoon. The Festival’s special reduced price ticket – 3-5 on Ocean Drive – is on sale now, providing access to the Goya Foods’ Grand Tasting Village, including the David Grutman Experience featuring sounds by INGROSSO, on Sunday, February 26 from 3 – 5 PM (EST) for $100 per person. Closing out the beats and eats of every gourmand’s favorite weekend in the sand, the Festival has collaborated with Menin Hospitality to bring you live entertainment at Lucky Chopsticks: An Asian Night Market hosted by Andrew Zimmern on Sunday, February 26. Between the vivacious fare getting served up from more than 30 chefs, interactive games brought to you by Ricky’s and flowing libations, guest won’t want Sunday Funday to end.